Lots of vital information here as we prepare to get into Closed / Open Beta, and the eventual release of 1.36 (Hybrid Supply). Every player needs to read this, save it, ask questions and prepare for what’s coming. This is the low down of all important information and will be updated to answer any important questions that we may have missed. 1.36 Hybrid Supply discussion should take place in the forums (here). There are a few different types of Garrisons located across the game world. Towns can only have ONE Garrison owner. What is a Buffered Air Field? As with today’s brigade system, it means that all linking towns must be owned by your side. Once that is achieved, your Air Force Garrison becomes activated. There are 4 types of towns. 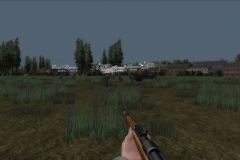 Frontline – Frontline town is any town that directly links to an enemy town. Backline – Backline town is any town that is diectly linked to a Frontline town but not linked to an enemy town. Reserve – Reserve town is any town that contains an Airfield or Naval Dock/Port that is neither Frontline or Backline. Inactive – Inactive town is any town that is not Frontline, Backline or Reserve. It’s very easy. 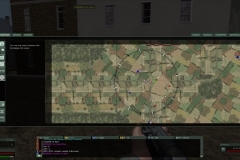 Right click the town with Garrison supply, select JOIN GARRISON / BRIGADE, then select the Garrison you want (Army, Air Force, Paratroopers or Navy). WHAT WILL GARRISON SUPPLY LOOK LIKE? 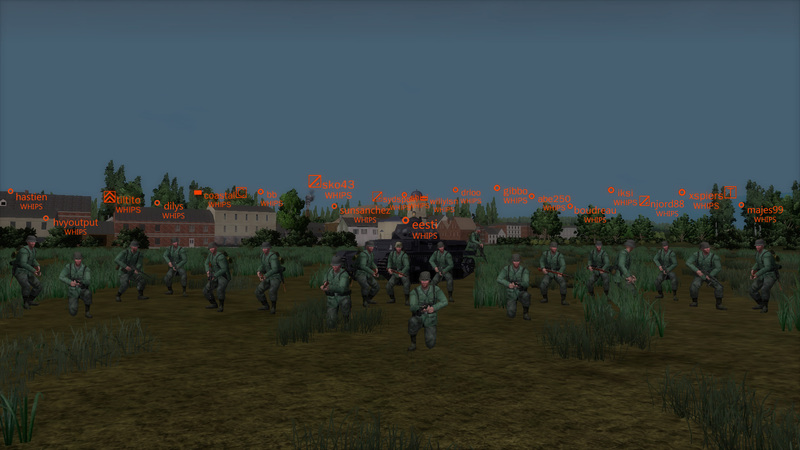 Garrison supply will be a combination of our recent work on the Infantry and Armored Brigade units. So they’ll be a bit more diverse in their supply and have more options available since Garrisons will be all over. All of the mechanics of moving Garrison supply is all handled by the system. Players will only have an interaction in determining country ownership as described below and primarily for the Allies, since the Germans only have one persona to manage. Upon successfully capturing a Garrison, there will be a 10 minute delay before your newly captured Garrison becomes active and supply starts to trickle in. However it is safe to immediately despawn your supply and reserve it at the Garrison, providing your equipment matches the Garrison country owner. 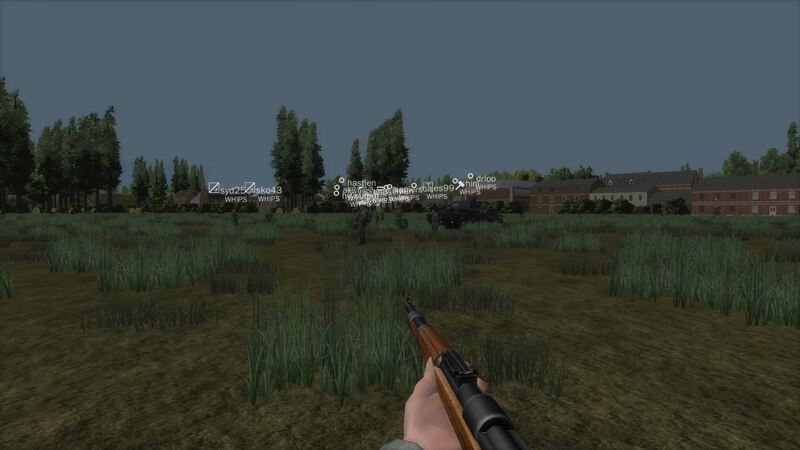 You will then establish a new frontline town and receive full (100%) supply that trickles in over a 60 minute period. 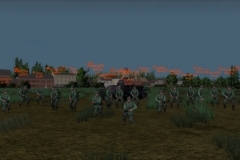 Your previous rear line Garrisons will be deactivated as the line moves forward, and new adjacent supply (Rear Garrisons) will be established. This is key to the design in reducing the workload and management of HC officers to handle supply maneuvers, and offering more supply to players throughout WWII Online. When the Allies capture a town, the High Command will be given a grace period of time of [ 10 minutes ] to select which country they want to own the newly captured town. That will either be the British, French or US (when they’re available). 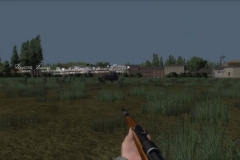 If they do not manually select which country owner will take the newly captured town, the system will automatically give it to the country where the attack order originated from. So if the original AO was placed by someone in a British owned country, then that town will become British unless HC selects otherwise within that 10 minute period. The Allied High Command will be able to adjust any of their Garrison owners. However there is a pretty significant penalty in doing so if they didn’t make it during the initial 10 minute grace period. This is to make sure that supply isn’t gamed to their advantage. This will then go into a pending status, where HC officers can veto it if the wrong selection was made, or you want to stop it entirely. If this goes through and the command is executed, the time to receive full supply, will be the same as the factory RDP resupply times globally. Currently that timer is 15 hours from when a unit is spent to when it is resupplied from the factory. So this is designed to be possible, but not to be something you should do without really good thought / consideration. Because the US Forces do not have flushed out Air Force and Navy personas, any US owned Garrison will inherit (French) Air Force and Naval supply to provide the best game play and balance experience possible. Garrison resupplying is super easy. You are able to resupply any Garrison up to 100% of its supply capacity numbers (or double the supply). Any other attempt at additional supply overstock will not work. Any Garrison supply from any friendly originating country that is the same, can be simply despawned and reserved in that Garrison. The country ownership of the Garrison is really important if you want to resupply, as they must be the same. Example of resupply working: Spawn an A13 from any British army garrison, you can then drop it into any other British army garrison. 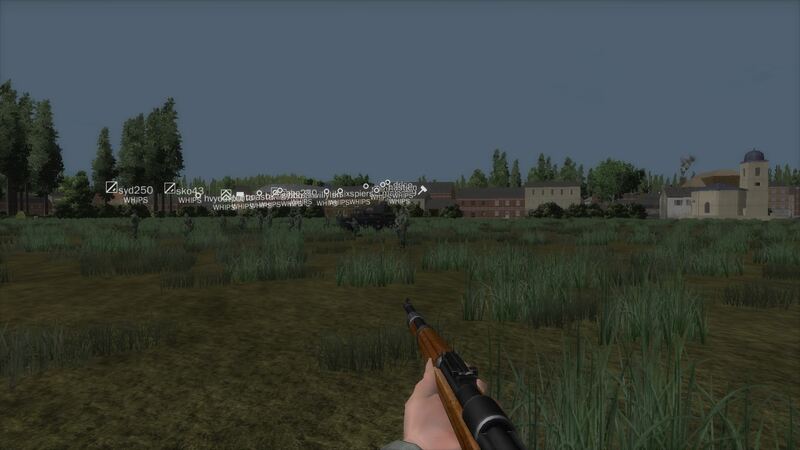 Example of resupply not working: Spawn an S35 from a French army garrison, attempting to drop it into a British or US army garrison. THIS WILL NOT WORK! You cannot resupply a Garrison with infantry by deploying a mobile spawn. While this would be very convenient, could get gamey quickly. The only way to resupply forces from one Garrison to another is by driving. This was designed this way to encourage real movement of supply and preserve interdiction game play. Remains as it always has been. Not the easiest with certain parameters in your mission settings to be achieved, but can be done. You cannot resupply a Garrison with Division / Brigade Supply, or vice versa. Their supply pools are incompatible with each other. HOW WILL DIVISIONS / BRIGADES WORK? They’ll work as they do today. 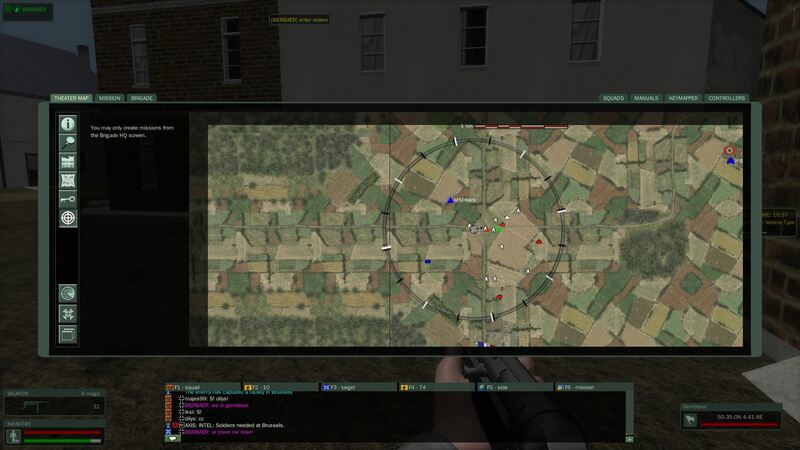 As a High Command officer you’ll be able to maneuver them across the lines according to the same rules we have today. So yes you can add Brigade supply on top of Garrisons. These units can be routed as well. The surrender system has been kept and follows the same rules as the brigade system. However it is going to be very difficult to manage these sort of cut offs with the Garrison supply creating surrounding defensive (backline Garrisons) to support with managing and attacking the pocket. Upon release of 1.36, we’ll be updating the Campaign to have a 2 AO minimum. Since there will be more supply and system management to maneuver Garrisons, we want to provide the maximum opportunities for players to launch attacks and create variety in battles.